It has been almost a year since the Supreme Court struck down the Professional and Amateur Sports Protection Act (PASPA), a federal law that had prohibited most states from authorizing sports gambling. 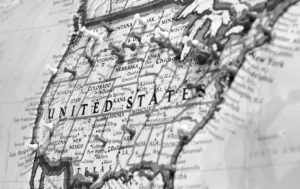 Almost immediately, Delaware and New Jersey legalized sports betting (joining Nevada, where sports betting has long been legal) – followed in quick succession by Mississippi, West Virginia, Pennsylvania, and Rhode Island. Although not specifically approved by the state legislature, sports betting is also currently available in New Mexico, via a tribe’s already existing Class III gaming compact. Arkansas and Washington D.C. have taken significant steps towards legalizing sports wagering and are currently tying up regulatory loose ends. This past November, Arkansas voters amended the state constitution to legalize sports betting; however, sports betting has not yet launched in the state. In December 2018, the Washington, D.C. Council approved a bill that legalized sports betting; the bill was signed by the D.C. mayor and has been transmitted to Congress (a unique requirement of the D.C. legislative process). The expected approval date is May 16, 2019, and sports betting may launch in our nation’s capital as early as this fall. Which states will be next to legalize sports betting? While at least two dozen states are considering legislation to legalize sports wagering, New York and Illinois may be next to get legislation across the finish line (pun intended!). In January, the New York State Gaming Commission approved proposed rules that would allow sports betting at four upstate casinos. The Gaming Commission is accepting public comments on the proposed rules, and sports betting may be permitted as early as mid-May when the public comment period expires. Legalized sports betting also looks promising in Illinois, although things can change at a moment’s notice. The governor campaigned on legalizing sports wagering and wants a bill passed before the legislature ends its session next month. Four bills have been proposed, with options ranging from granting licenses to existing casinos and horse tracks to allowing gamblers to place bets anywhere that lottery tickets are sold. Want to know more about a specific state? For a list of recently proposed legislation by state, see ESPN, State-by-State Sports Betting Bill Tracker; Legal Sports Report, Legislative Tracker: Sports Betting; and SB Nation, The State of Sports Betting. Can the Federal Government still pass legislation to restrict sports betting? So far, it does not appear that Congress is going to put the sports betting genie back in the bottle. In late 2018, Senators Chuck Schumer and (now-retired) Orrin Hatch introduced the bipartisan Sports Wagering Market Integrity Act of 2018. The bill would specifically allow both in-person and online wagering on professional and NCAA sports; however, it would “set [federal] standards for sports wagering and provide law enforcement with additional authority to target the illegal sports wagering market and bad actors in the growing legal sports wagering market.” The bill (which is opposed by the American Gaming Association) has been referred to the Senate Judiciary Committee. What is the current status of online gambling in the US? Decidedly in flux! 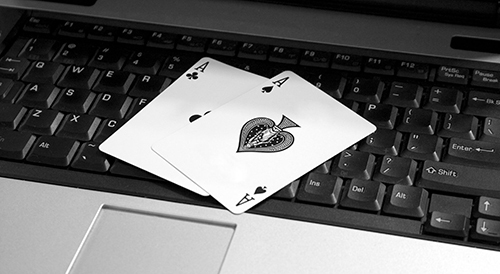 As discussed in G2’s January 2019 blog, the Justice Department’s recent reinterpretation of the Wire Act has created a ton of uncertainty regarding online gambling. Some background: The Interstate Wire Act of 1961 (more commonly called the “Wire Act”) prohibits betting via “wire communication facilities.” But the language of the Act is not clear: in one clause, Congress restricts “bets or wagers on any sporting event or contest.” The rest of the Act refers generally to “bets or wagers” – and makes no mention of sporting events. When online gambling took off in the early 2000’s, the scope of the Wire Act became a hot topic. Does the Act apply only to online sports betting? Or does it apply to all forms of online gambling? The 5th Circuit Court of Appeals, in a case known as In Re: Mastercard, held that the Wire Act applies only to online sports betting. At least one lower court disagreed. In 2011, the U.S. Justice Department issued a legal opinion in which it concluded that the Wire Act applies only to online sports wagering. That 2011 opinion (released on December 23rd and known in the gaming industry as the “White Christmas Memo”) led to the rise of legal online lotteries and online casinos. However, on January 14, 2019, the DOJ’s Office of Legal Counsel reversed its own 2011 opinion, declaring that the Wire Act’s prohibitions on interstate wagering transmissions applied to all forms of gambling, not just sports betting. See Reconsidering Whether the Wire Act Applies to Non-Sports Gambling. The New Hampshire Lottery Commission promptly sued the federal government, claiming that reversal could create “catastrophic consequences for lotteries across the country.” The DOJ has since delayed implementation of its ruling, which (as of the date of this blog) is scheduled to go into effect on June 14, 2019. According to gaming industry players: “The big takeaway is that this is a dark day for online gambling.” G2 will be keeping a close eye on this issue. We will update our clients as the lawsuit progresses. 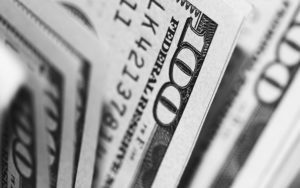 How has the payments industry responded to legalized sports betting? According to the American Gaming Association, Americans currently spend an estimated $150 billion annually on illegal sports betting. Therefore, legalized sports betting has created a major opportunity for the payments industry – and industry players are beginning to take action. For example, in November 2018, Paysafe and Worldpay announced a partnership intended to provide digital payment solutions for companies offering sports betting in the United States. Of course, the federal government’s recent action may scare away (at least temporarily) some previously-interested parties. As we all know, gambling (even when legal) presents significant risks to card issuers. When problem gamblers bet using credit cards, they might also be gambling that a “win” will enable them to pay off credit card balances at the end of the month. Other risks include fraud and reputational risk. As the payments industry becomes more receptive to gambling, it becomes increasingly important to monitor merchants and consumer behavior. G2 continues to uncover illegal gambling operations via our Transaction Laundering Detection solution. In so doing, we keep bad actors out of your portfolio! For more information about our TL offering, please email info@g2llc.com.